Happy New Year's Eve! I had to share the gratin recipe we made on Christmas morning in case anyone is needing a New Year's Day breakfast idea. It was my first time attempting this recipe and it's now one for the recipe book! I love this gratin because it can be made the night before and popped in the oven the next morning. We topped this savory dish with some mimosas, fresh fruit and poppyseed cake. Preheat oven to 350 degrees. Generously butter a 9x13 inch baking dish. Cut thick slices from baguette to make a single layer in the baking dish. Arrange the slices on a baking sheet and bake until very lightly colored, which is about 10 minutes. Remove and places the slices in the baking dish. 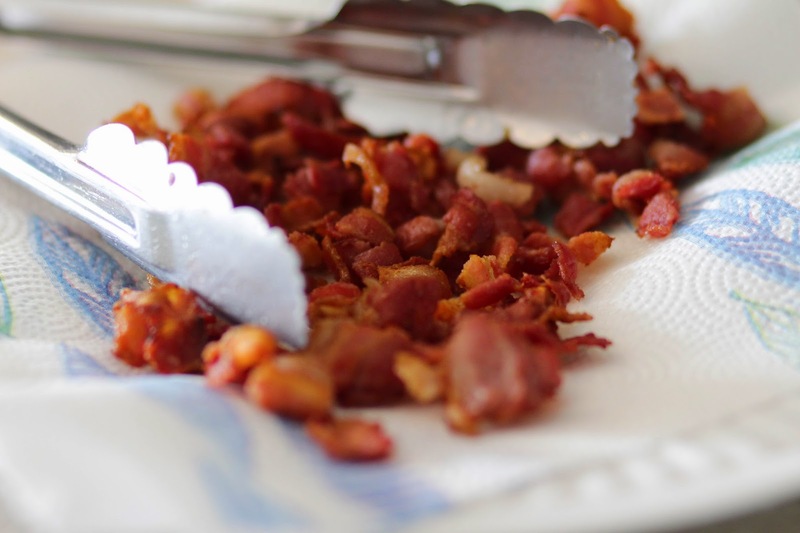 In a medium, heavy frying pan set over medium heat, fry the bacon pieces for about 5 minutes. Drain on paper towels. Pour off all but 1 tbsp of the drippings and return to the frying pan. Add the leeks and cook for about 5 minutes. 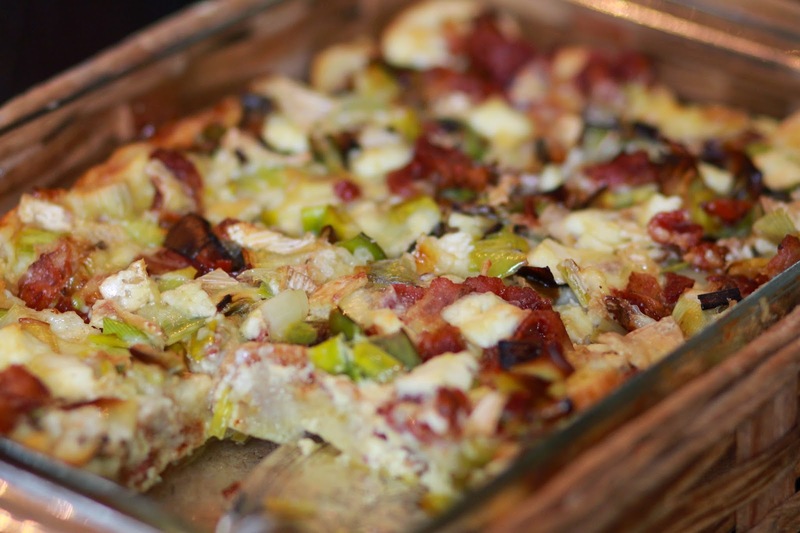 Sprint the leeks and bacon over the bread slices in the baking dish. 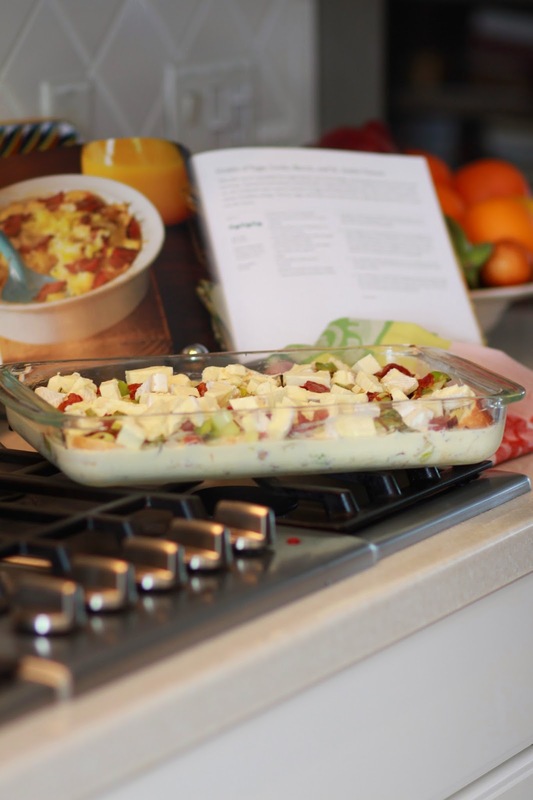 Cut the cheese into 1/2 inch cubes and scatter over the leeks and bacon. In a medium bowl, whisk the eggs to blend, and then whisk in half-and-half, salt, and cayenne pepper. Pour the mixture into the baking dish. Let the gratin stand for 1 hour. Bake for 40 - 45 minutes or until the top is golden. * If the dish has been refrigerated overnight, let it stand at room temperature for 30 minutes before baking.